A drink-driver who was so incapacitated with booze that he was found collapsed unconscious next to his work’s van has been spared jail. Magistrates heard that Shaun Farrell was four times the legal limit after a member of the public discovered him prone and unresponsive alongside his Ford Transit with the door open and the keys still in the ignition. A breath test found 140 microgrammes of alcohol in 100ml his breath. The legal limit is 35. Farrell, of Kendal Road, Ince in Wigan pleaded guilty to drink driving. The 37-year-old was arrested on Sunday March 12 after being found lying prone on the pavement on Caroline Street, Wigan. Police arrived to find an empty bottle of vodka and whiskey mixer drink can inside the vehicle. He was breathalysed as soon as he came to, and was promptly arrested. 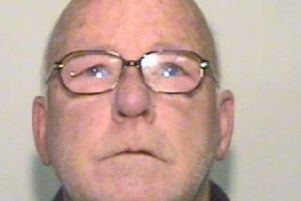 His solicitor told magistrates that he had been “remanded for his own welfare, rather than for the safety of others”. The court heard that Farrell – who “fully admitted” the offence – had driven the vehicle to buy liquor after a row with his partner. He had visited a friend afterwards and was intending to drive to his mother’s, under the impression that he would make it to the property before the alcohol took effect. But he had drunk so much that he could not even recall pulling over, the prosecution said. Farrell, who had one previous conviction for a similar offence in 2010 – was handed an eight-week prison sentence, suspended for 12 months. He was also ordered to complete 120 hours’ unpaid work and banned from driving for 30 months.